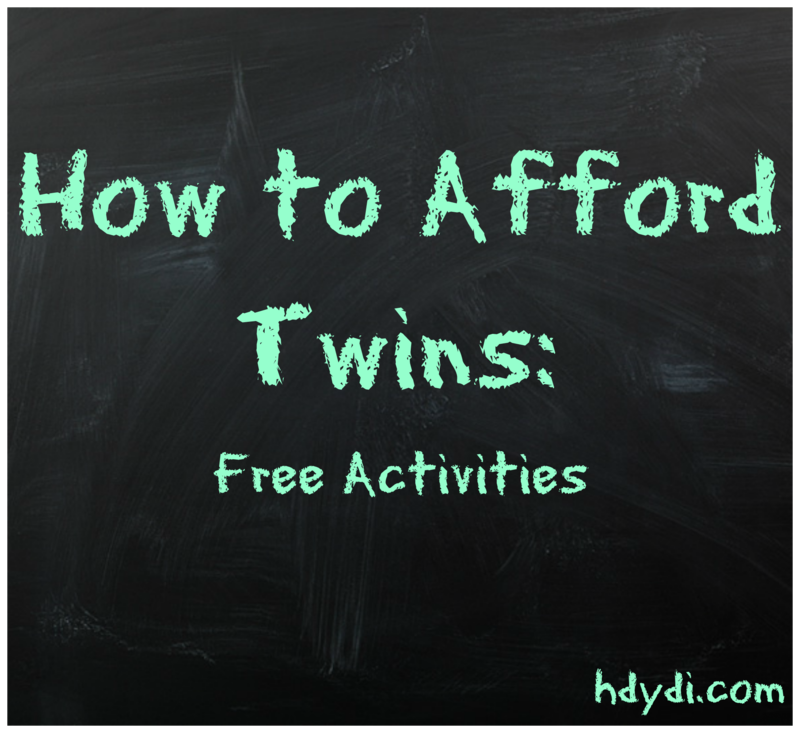 How to Afford Twins: Free Activities | How Do You Do It? The great thing about children is that you don’t have spend much, or anything at all, to find something that fascinates them. They’re as enamored of the snail crawling on your driveway as they are of the latest and greatest animated feature film. 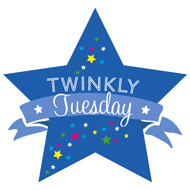 Here are just some ideas for free activities for twins, triplets or, yes, even singletons. Public libraries can be an extraordinary community resource. Of course, they provide you with free books, but they can do so much more. You might be able to check out soft toys, puppets and other toys to try out before purchasing them for yourself or if you have a child who quickly tires of new things. We’ve even seen cake pans for loan so that you don’t have to buy that Dora pan for a single use! Libraries can order books for you, if you ask. Most public libraries have a large selection of board books for the very littlest readers (or chewers), often in both English and Spanish. We’ve checked out books on CD for road trips and discovered new children’s musicians. 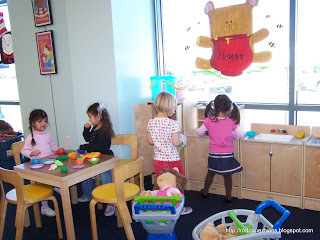 Whether you contend with the brutal heat of the summer or freezing weather of winter, the library can be a wonderful indoor play opportunity, even a good location for a playdate. You probably have several libraries within a reasonable distance, each offering its own unique opportunities. Children’s librarians are no longer the stuffy shushing women of our childhoods, instead actively fostering young children’s relationship with books, even if they can get rather loud. If you want to keep your library visits free, make sure that you return or renew your materials before they’re overdue! Never underestimate the value of a wide open space with a soft surface. Even toddlers can roam a bit, since you can see them and get to them easily. Pack a change of clothes and plan to get dirty, tasting exploring trees, rocks, dirt, and flowers. Bring a blanket and some toys and meet a friend – your kids will be so interested in the other children’s toys, they will be happy to play close by. Or pack up the wagon walker and let them do what they can’t at home – walk at length without bumping into anything! There is just something about that fresh air that tuckers little ones out beautifully for nap time. 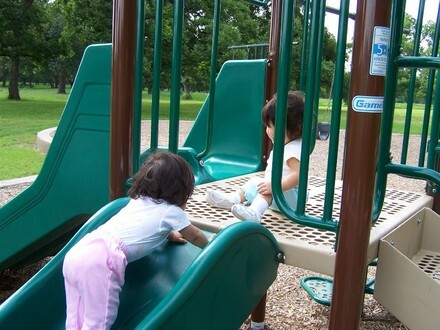 Many parks have great playscapes, even providing structures specifically designed for smaller children so they’re not trampled by the big kids. Parks are also a hot spot for budding musicians. We’ve enjoyed listening to a cellist, a small contingent of drummers, and a violinist, and that’s just recently. Our kids love seeing and hearing live music. Fountains, outdoor art galleries, and free outdoor performances are other common features of parks – check out your local park to see what is going on in your own backyard! For older kids with earthy tendencies, get involved in a volunteer park program. 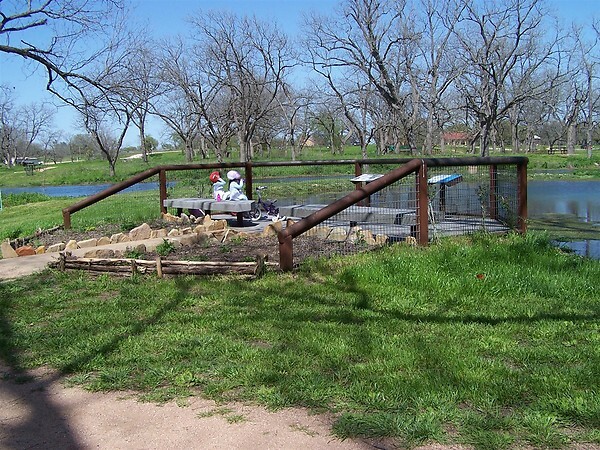 Many parks have regular group meetings to plant flowers, clear weeds, and do other good works. It’s fun and educational too! Most cities will have free family-friendly performances throughout the year. They are often hosted through parks, libraries, museums or by the musicians themselves. Sadia and her girls make it to 6 to 20 free performances a year. Just Google “free children’s theater” or “free children’s music” and see what comes up. 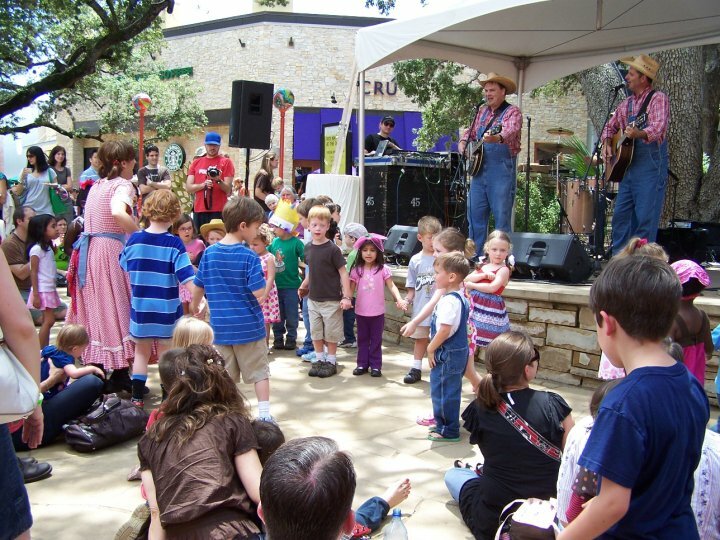 Sadia’s daughters J and M are especially enamored with the Austin-area Biscuit Brothers, but the Hey Lollies and Lucas Miller, the Singing Zoologist, are also favorites. 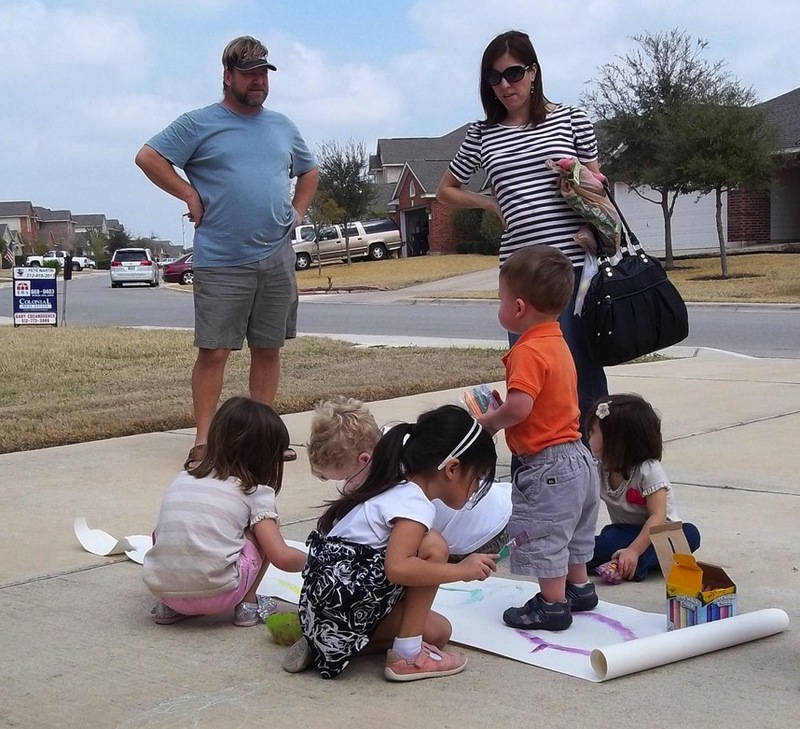 If your kids are starting to tire of walks, try making them interesting and educational with simple scavenger hunts. If you’re working on shapes, have them compete to find every square thing they can, or rectangular one, or circular. List the colors of the rainbow and ask them to find objects representing each one. Seek out letters of the alphabet on billboards, street signs and license plates. If you’re heading to a place with interesting architecture, provide each of your children with a list of details to seek out. The color or shape game is also a great one to make grocery shopping trips a little less tedious when you have the kids with you. Don’t forget all the great opportunities your own backyard can provide. Blowing bubbles never loses its luster. Run through the sprinklers. Play pretend. Look for insects. Teach your kids to identify weeds. They’ll be so busy playing, your children won’t even realize that they’re serving as free labor and weeding your lawn for you. The majority of Sadia’s kids’ fun during their first 5 years involved running around with the neighbors. They played ball games and pretend, rode bikes, trikes and scooters, and ate popsicle by the ton. If there are other kids in the area, introduce yourself. You may discover that your neighbors aren’t the kinds of people you want your kids around. You may discover the opposite. Like libraries, museums have evolved from the hushed halls and “look with your eyes” rules that we knew as kids. Children’s museums are great places to go with kids and babies of all ages. You can see cool artifacts, art, and even live animals. One of our local museums has fish and turtles, seahorses, alligators, and jellyfish! Another has short talks geared toward wee ones about local birds and reptiles, including live examples of the species. 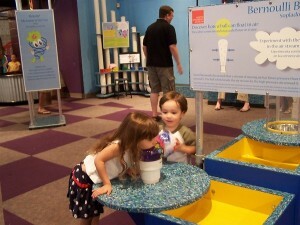 Science museums are great for curious youngsters. Many museums even have a tot room, or toddler-friendly exhibits, where hands-on exploration is encouraged. Most museums have free days at least once a month (usually a weekday), and some may be free for the last few hours of the day. Libraries also lend family passes to local museums. They are first come, first served, but if you can score one, the whole family can enjoy a day out together. And some museums are free every day! 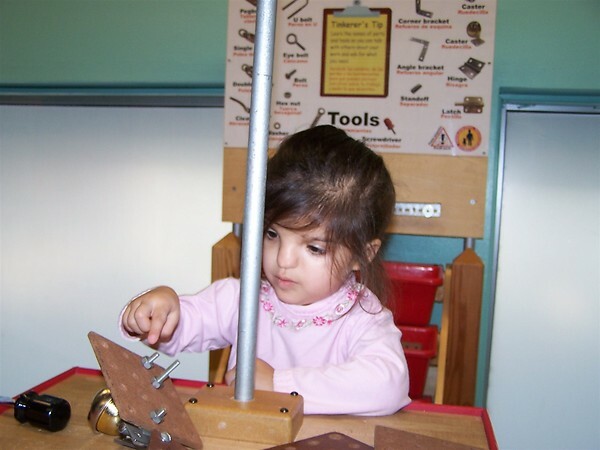 Don’t shy away from a smaller or older place – sometimes a few simple exhibits are the perfect thing for the very young, and the staff are usually dedicated and knowledgeable folks. Home improvement stores tend to offer free workshops for children. Both Lowes and Home Depot have great programs, either monthly or weekly. Several classes offered at Michaels stores are free. Toys R Us also occasionally has free events. Music, gymnastics, martial arts and dance schools will frequently offer free teaser classes. If you think you and your kids will be able to resist the temptation to enroll in them long term–or if you have the money budgeted for continued lessons–these free classes are worth checking out. The San Francisco Bay Area has a great resource for free art supplies: SCRAP. Their website explains: “…re-usable materials such as textiles, buttons, paper, craft and office supplies, plastics, and wood are collected from businesses, institutions, and individuals then sorted and made available to teachers, parents, artists, and organizations.” Something similar might exist in your area. If you know a teacher, chances are they know about art resources. Also, don’t be afraid to ask local stores and other businesses for things they were considering discarding. Stop by a paint store every 3 months or so to ask for their wallpaper sample books as new ones come in and the old ones are disposed of. The paper samples make for gorgeous crafting paper. You can do a million things with paint chips from your local hardware store, and they’re always free. Cut up magazines, collect interesting leaves and rocks, or use raw pasta from your pantry for art projects. 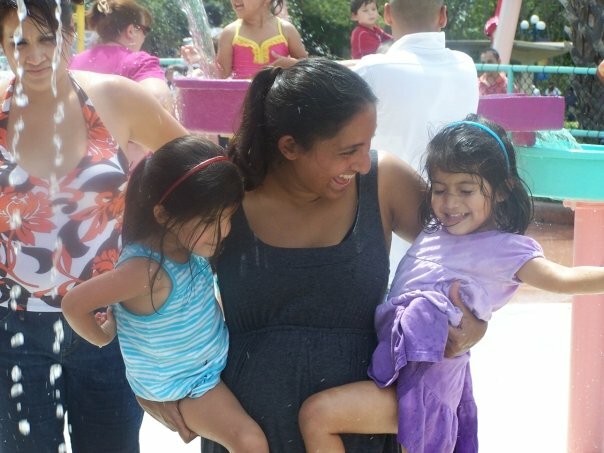 If you’re in the Austin area like Sadia, Heidi is a fantastic mommy blogger whose entire focus is on highlighting all the Free Fun in Austin for kids. We’re pretty sure that her site is unique to Austin, but please let us know if there are similar resources where you live! Even if there aren’t, take a page out of Heidi’s book and start asking around. Check out the My Kids Eat Free site, which can be searched by state and has Canadian, American and British areas. Don’t be shy about calling local restaurants to find out if and when they have “kids eat free” offers. You can start with chains on the Austin Free Food Calendar. Note that some free kid meals require the purchase of an adult entree. If the adults in your group are outnumbered by kids, as in my family, make sure you read the fine print. If you or your spouse is in the military, learn to take advantage of military discounts. On Memorial Day this year, for example, Sadia used SeaWorld’s Waves of Honor program to spend a day at the park for just the cost of gas and parking. Sadia, M and J go once a year, which is as often as they can go for free. Technically, the active duty service member can bring 3 family members, but the park once let her daughters’ godmother enter for free with them, since Daddy was deployed at the time. Even though she’s now divorced, the park staff allows her in free as her daughters’ parent. The Veteran Tickets Foundation gives away unused tickets to military veterans within a month of a combat deployment. Check out Leisure Travel Services at your base. They’ll often have free tickets to give away and can let you know what local attractions offer military discounts. And always ask. A lot of places give 10% or higher discounts to active military personnel and their families. Moms with older kids are likely to know what free opportunities are around, even if it’s just knowing which fast food restaurants have the cleanest playscapes–you’d be surprised by how many are completely okay with you dropping by even if you’re not intending to eat, when the weather is bad–or which fountains your kids can splash in without being judged. They can clue you into the hidden gem of a park you’d never think to look for or the perfect garden hidden inside an academic building at your local community college. If you’re a new mom wondering where to get started, join a mom’s group in your area. Some groups are very active online, such as Golden Gate Mother’s Group in the San Francisco Bay Area, so you can browse their collective wisdom whenever you need it. What free activities are available in your area? YES! A resounding YES to the library! In addition to free books, movies and music, our library has story time, arts and crafts time and special events that are amazing. My children got to see a tarantula and a Gila monster and hold a bunch of snakes, giant cockroaches and other huge bugs when the “Reptile Guy” and the “Bug Chicks” visited our local library. We also saw an adorable puppet show about snowflakes. Definitely check the calendar at your library. 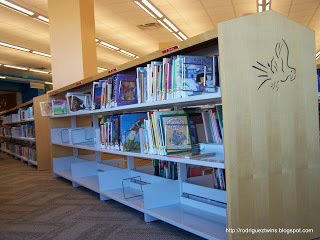 And if you live in a larger city, don’t be shy about visiting other libraries to check out their children’s section. We have a library less than a mile away, but sometimes, we get on our bikes and go on a “Library Adventure” where we bike to three different libraries (within 6 miles) and the boys get to check out a book from each library. They think it’s this big, extravagant, fun adventure when really, it’s free, easy, great exercise and requires no planning (except for maybe mapping your route and making sure the libraries are open). Awesome Janna! I love the library adventures! I was going to say we use library for story times too! And, we always sign up for the summer reading program! It’s a great way to encourage reading in your kids AND score free stuff! Some of the things we could get were free passes to the childrens museum, water parks, bowling, and more. Also, if anyone is from Indiana, I would recommend indywithkids.com They have a calendar of events, many of which are free! I always forget about library storytime, since it seems to be scheduled for SAHMs, not 8-5 grind types like me. They have a Saturday morning storytime here in Portland at almost all the libraries! Our library has an evening “pajama” event for families who can’t attend during the day. Kids can come in their pjs and enjoy story time before heading home to bed. What an awesome post – great info for any parent! I’m especially thrilled to see this post since we have just moved to the Bay Area. I definitely want to check out SCRAP! I love the library, but we used to get SO many books that I would lose track of them and end up with HUGE fines. Oops. Not a good way to save. Now we only go every 3 weeks and I mark due dates down on the calendar. Hopefully that will help! My kids each have their own library card, and they’re responsible for paying their own fines out of their allowance. They’re 7 now, so it’s not an unreasonable demand. We, too, go at least every 3 weeks, but they’re each responsible for knowing how many things they checked out and gathering them up in time for the next library visit. They each have a little cork bulletin board-like square on the wall, and M pins her library receipt there for reference. J keeps hers in her wallet with her allowance. Oh, and each child has a bin on her desk specifically for library material storage. If she’s not reading/listening to it, it should be in the bin. It doesn’t always work, but we’re working on being better about putting things away in general. Having a place for everything is the first step toward everything being in its place! We go to the library every week now. And we take back all the books at once, and only get 10 new books at a time. It makes it easier to keep track of – plus I keep the “receipt” so I know which books I still need. Also, I love that we can easily renew our books online! So, if I can’t find that one book, I just renew it for another three weeks until I can. lol! Pingback: What's up Fagans?How to Afford Twins Theme Week | What's up Fagans? Pingback: How to Afford Twins: Making the Most of Memberships and Subscriptions - How Do You Do It? Pingback: How to Afford Twins: Introduction - How Do You Do It? Pingback: How to Afford Twins Giveaway!! - What's up Fagans? Pingback: How to Afford Twins Giveaway!! 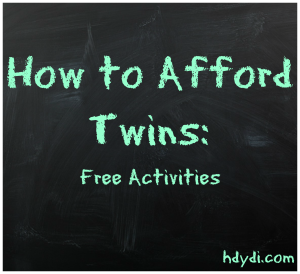 Previous Previous post: How to Afford Twins: What Do I Really Need for Twins?